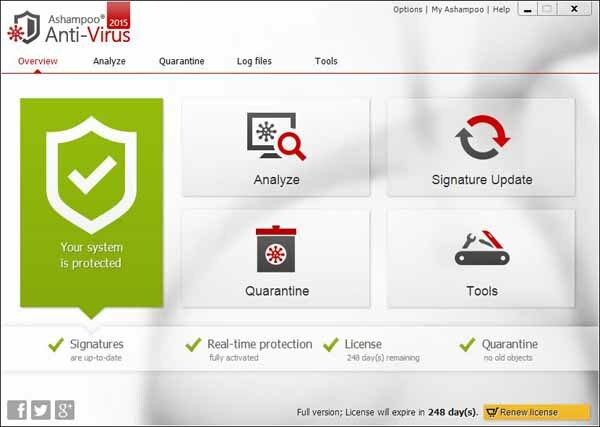 Free download Ashampoo Anti-Virus Latest Version.With powerful automated real-time protection and frequent updates, Ashampoo Anti-Virus offers reliable protection against all common Internet security threats, known and unknown. And it does so in a very discrete and unobtrusive manner without restricting your freedom of use. With daily signature updates, your Ashampoo Anti-Virus is always ready to detect and neutralise both old and new threats. And best of all, updates happen fully automatically.